Specifically the trees are, Bonsai, Cherry Blossom and Willow. 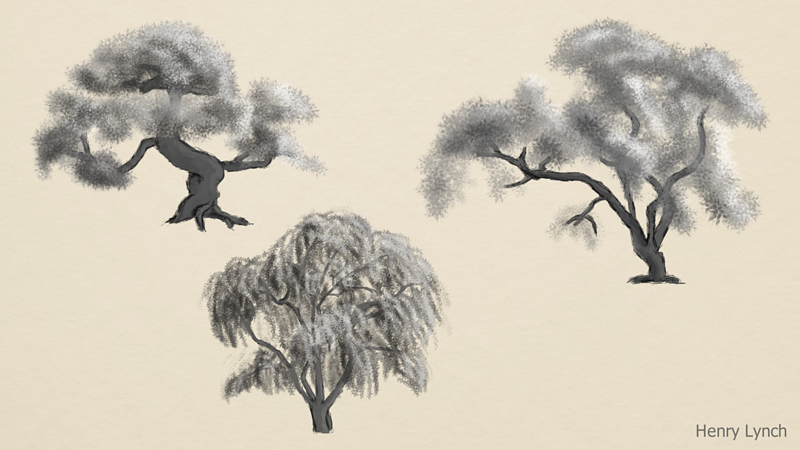 Beautifully drawn trees! 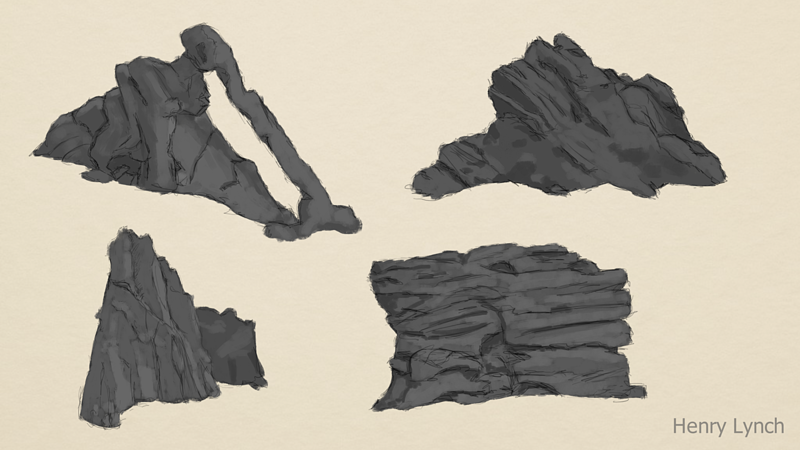 and I like the rock textures.